Oakwood House holds a secret that could take everything away from her, including her life. Gwen and her mother are suddenly homeless. So, it sounds like a dream when her mother's old friend, Marvin, suddenly leaves Oakwood House to Gwen. The only way she can claim the house is to find his official will. The problem? Marvin was a hoarder. The will is hidden somewhere inside the huge building, along with strange secrets. Can Oakwood House be the refuge they so desperately need, or will Gwen be the next victim of the one thing Marvin never wanted her to find? Саспенс Всех возростов. © All rights reserved. 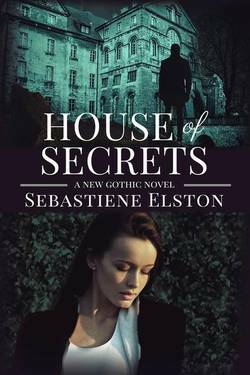 House of Secrets, by Sebastiene. Chapter 1 - Nowhere to Go. Gwen tried so hard not to feel anything. She had managed to empty the apartment, throwing away so many basic things she knew they'd need. But the contents of an entire apartment—even a crumbling one-bedroom apartment—just wouldn't fit into their old car. The deadline for being out of the apartment was noon. Gwen and her mother, Beverly, needed the deposit money back so badly. So Gwen had done what Marvin had told her to do. No matter how much she didn't want to. She had let the paramedics take him to the hospital, alone. She'd stood by while they'd loaded his toothpick frame into the ambulance. The gurney probably weighed more than he did. It looked like it did. Either way, his Mr.-Rogers-like red cardigan was now as big as a sheet on him. He was conscious, but his skin was ashen. She didn't know what had caused him to curl in on himself in pain. Whenever he stopped moving, he looked like he was dead. There was nothing Gwen could do. After the ambulance left, she'd forced herself to go back inside and kick the snow off her shoes. She'd kept cleaning, kept throwing things out. Right before Gwen vacuumed, she coaxed her mother out of the building, down the stairs, and into the backseat of the car. Beverly had been so beautiful before all this. Before her anxiety and depression had stripped away all the lively, brave, and sunny parts. Now, her haggard appearance was just too much for Gwen to deal with on top of everything else. As if Gwen could have done something to stop it. If only I'd been a better daughter. Better able to get her what she needs. "I'm so sorry," Beverly said from inside her cocoon of old quilts and blankets. That was normal for her, but Gwen added every other one they had left so her mother could stay warm in the freezing car. "It's all right, Mom. It's not your fault." It's mine. "It is my fault. If I was a better mother, if I wasn't so sick—"
"Don't beat yourself up. Please." Gwen closed the car door and wiped tears out of her eyes. There wasn't time. She went back to praying the second-hand vacuum cleaner would work. Just one last time before it went into the dumpster where it belonged. Back in the apartment, the vacuum vibrated so badly that she had to keep changing hands to move it. It smelled like burned metal and rubber, but it worked well enough. As she vacuumed, she also knew she was picking up every last trace of Rose, their black cat. Rose had passed away only a few months earlier. The Black Rose. Rose had never cared where they lived. She'd had precious few needs. Even though Beverly was home more often, Gwen and Rose had become like best friends. Best of all, Beverly's troubles hadn't been as crippling when Rose was there. The cat had helped her mother so much that Gwen had actually felt less guilty going to work in the morning. At least she's not alive to go through this with us. And now Gwen was picking up every last cat hair and throwing it away. Leaving nothing behind. Like Rose had never existed. She locked the empty apartment's door and tried not to slip on the slushy snow. She hefted the vacuum cleaner into the dumpster, and left the apartment keys in the property manager's mailbox. She could think later. She could let herself feel later. For now, all she could do was keep moving. Gwen wiped off the driver's side of the windshield with her coat sleeve, and checked the clock when she got into their car. Twenty minutes late for the eviction deadline. But it was the best she could do. Gwen found the hospital, but it took more precious seconds to find the closest parking space to the emergency room door. Beverley wouldn't get out of the car unless she was desperate, which meant Gwen had to be careful. The thought of abandoning her mother inside a car, alone, on the far side of a parking lot scared her to death. Who knew what might happen? This hospital wasn't in a great neighborhood, and bad things didn't just stop happening because it was snowing. Gwen found an open spot and pulled in. After that, once the car was parked, it was just a matter of keeping Beverly calm. Gwen took in a deep breath and dug into the pocket of her worn black coat. She pulled out what little money they had left and carefully folded the few bills. She reached back to leave the cash on the raised bit of footwell right in the middle of the backseat area. Right where her mother could see it. Her mother called the ten-year-old Ford Focus wagon a "station wagon", so she did, too. Beverly had retro names for a lot of things. It was a good sign when she used them. It meant her mother's mind was still working well enough for her to remember things from the past. Too often, her anxiety and depression overwhelmed her. Like now. "Mom?" Gwen waited for a response. "Yes, sweetie?" That was a good sign. A quick response, and even a term of endearment. "I'm going inside to check on Marvin. I don't know how long I'll be. There's some money if you get hungry, because I don't know where the food box is. I'll have to find it later." "I'm fine. I'll be fine." Gwen went on as if her mother hadn't said anything—which was technically true because it was statements like that that she knew to ignore. "I'm sure they've got vending machines in there, or something hot if you feel strong enough to find the cafeteria on your own. And they have bathrooms—"
Beverly interrupted her. "I know. Give Marvin a big hug for me." Her mother was right to interrupt her. She knew that. It was just so hard to judge when Beverly was strong enough to be like her old self, and when the anxiety was too much for her. Sometimes, Gwen had to explain the most basic things. Gwen had said everything without looking directly at her mother, and felt relieved as she opened the car door to get out. Then, she felt guilty that she felt relieved. She was leaving her mother behind in a cold car. What kind of daughter did that? She locked the doors as she got out, and closed the driver side door as quietly as she could. On to the next disaster. How many does that make today? She started to count them as she walked. Number one, being evicted. For a lack of money—no matter how gentle the local building manager had tried to be. Number two, Marvin collapsing. While they were being evicted. Number three, throwing away almost everything she and her mother owned. Because they were being evicted, and Marvin had collapsed. Four, moving Beverly from her relatively safe, quiet bedroom out into the unbelievably vulnerable life of a homeless women living inside a car in the winter. With her daughter, who couldn't provide anything better. Because they were being evicted. Correction. They weren't being evicted anymore. We were evicted. Gwen half-slid through the automatic hospital doors. She was just exhausted and numb enough that the smell that hit her barely registered. The industrial cleaner just absently burned her sinuses. Gwen asked the overworked woman at the desk about Marvin. "Just one moment." The woman put two phone calls on hold and made a call, herself. Gwen crossed her arms around her torso as if she could give herself the hug that she so desperately needed to be given by someone. The nurse asked, "What is your name?" The woman hung up the phone. The tiny muscles around her eyes softened. Pity. She feels sorry for me. "Someone is going to come out and talk with you." It didn't take long. Gwen squeezed her fingers as another woman in similar scrubs came out and asked to see her ID. Once that was done, the woman invited her inside the restricted area. She led Gwen past a whiteboard, past waves of blue curtains, and left her in a small waiting room. Please, be all right, Marvin. Please! Marvin didn't live with them. He lived four states south, in the middle of nowhere. Years before, he had dated Beverly. They had remained friends, and Gwen had always looked forward to his visits. It was only now that she truly realized how much. Gwen paced. Marvin wouldn't like being trapped inside a hospital. He as fastidious and tidy to a fault. Every day, he wore some sort of neat slacks, a white shirt, and a cardigan. Oftentimes, his skin was strangely red, almost raw from scrubbing. She knew now that he probably had some form of OCD—obsessive-compulsive disorder. However, his infamous hoarding she heard so much about came from something else, since it was no longer classified as a type of OCD. Apparently, it was caused by a disorder in a different part of the brain. To have both illnesses? It must have been a nightmare. But for all the years she'd known him, he'd been kind to her. She'd never asked Beverly how the two of them had met, but Gwen could guess. Beverly knew most people from some kind of support group. "Birds of a suffering feather," was how Beverly described her friendships with other people who had mental illnesses. "Even if our plumage is different colors, we flock together." A third woman came in. In Gwen's panic, this woman was as faceless as the other two had been. What made her different was that this woman held some kind of papers in her hands. Not hospital forms. There was no clipboard in sight. They were smaller than regular paper. Crumpled, and flattened out again. This woman also asked to see her ID. After examining it, the woman handed Gwen's ID back to her. "I'm so sorry to have to tell you this." "He wasn't in pain for very long. He was fading when he came in." "No." Gwen couldn't think of anything else to say. Nothing except that single word. It was all that needed to be said. Marvin couldn't be gone. The woman held out the pieces of paper. Correction. Two pieces of paper and a single dollar bill. Gwen forced her hands out to take them. "Can I see him?" Gwen sat down on a cold plastic chair. "No." People talked, nearby, in hushed voices. Going on with their lives. Gwen put the papers down on her lap and steadied herself by grabbing hold of the metal chair frame next to her thigh. It was Marvin's handwriting on the paper, but it was obvious just how much he had been deteriorating. He'd only written a limited number of words. They were scrawled and nearly illegible. With each letter, she could see what remained of his life, his personality, as it had disintegrated. "'I leave everything to Gwyneth Eleanor Smith. My official will is inside Oakwood House, and says that.'" Gwen blew out her breath. Beneath that, Marvin had written: "'Find the will, Gwen.'" Marvin had reached out with what was left of himself and managed to write this much. There was plenty of space beneath that. Space to write more, but he hadn't been able to. But, despite the blank space at the bottom, Marvin had changed over from the paper. His last two words were scrawled across the front of the one-dollar bill. He had written two words on it: "'Not safe.'" Gwen stared, trying to understand what he could have meant. The house wasn't safe? Oakwood House was Marvin's home. It was a hundred-year-old abandoned asylum buried deep in the woods. The building was empty now, except for the hoard of stuff Marvin had built up while he had lived on the grounds. So, his official Last Will and Testament was somewhere inside the hoard. That was what Gwen needed, and that would mean safety, security, somewhere for her and her mother to live. They weren't relatives. Without the official will, Gwen and her mother would have no right to stay there. And they had nowhere else to go. The shelters were overcrowded with women with young children. An adult daughter and her sick mother just weren't the priority. There just wasn't enough space to take care of everyone who needed help. Gwen had never been to Oakwood House. Her mother had warned her that Marvin was a hoarder. Maybe even he didn't know exactly where his will was. She had to find Marvin's will before some other possible heir, city official, or some other random person claimed the house. Almost anyone would have a better claim than she did if she couldn't find it. She didn't want to think about what would happen after that. She and Beverly couldn't survive on the streets. Not in the condition her mother was in. "So, that's that," she said, quietly. Disaster number.... What number was it up to, today? There would be time later to grieve, to cry, to pull herself back together, and then do the same thing over and over, again. But not now. Her eyes burned with tears she couldn't let fall. Gwen pushed herself to her feet and used the wall for stability as she made her way back to the open doorway. She kept herself on her feet as she searched for someone who would lead her to Marvin's body. As she got to the main desk inside the emergency ward, she made a mental note to use some of the hand sanitizer before she left. Hospital germs would make Beverly anxious. More than anything, she had to keep Beverly calm. 1 of 24 chapters. A new chapter added every Friday. If you like House of Secrets, please vote, comment, and leave feedback. I like this story so far. You definitely have a sense of building "disaster upon disaster" to create conflict and increase the tension. I did notice your use of "women" instead of "woman" and a case in which the "w" was dropped from "was." (I believe the phrase was "he as fastidious."